(Colorful) Sun Hats for Summer — Anna Akbari, Ph.D.
As the days get longer and your clothes get smaller, there’s even more room for color, and summer is the perfect time to experiment. Drop your old straw hat, say goodbye to blacks and grays, and try on a hat that’s as bright as the weather this season. 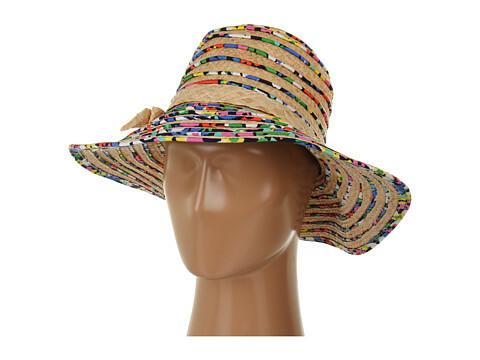 BCBGeneration Pop Stripe Floppy Sun Hat A good colorblock accessory is hard to find – too many colors at once can turn the rainbow into a visual onslaught. 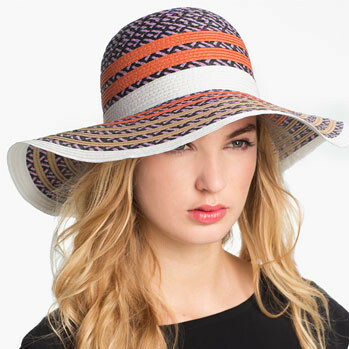 This bright and youthful hat pairs rich colorblocked stripes in the same color family for a look that pops tastefully. The floppy brim and domed crown keep the structure traditional and versatile. Be sure to check out all four shades – at only $36, you might want to pick up more than one. Cheap Monday Lori Hat This chic hat may be naturally colored, but try wearing it with a casual look for just a touch of summery, beachy flair. It features a super-wide brim to keep your face shielded from the sun, but cleverly, the brim is asymmetrical so that it’s structured and wearable, rather than too floppy. 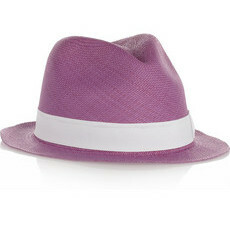 Sensi Studio Adrian Toquilla Straw Trilby You already know that we at Sociology of Style support finding your flair at any age, so don’t be afraid of a little – or a lot – of lavender. This hat’s shade is perfect for brightening up a soft pastel or white sundress on laid-back days. Topped off with an angled trilby structure and white grosgrain accent, this look is mature but bold, and definitely fun. 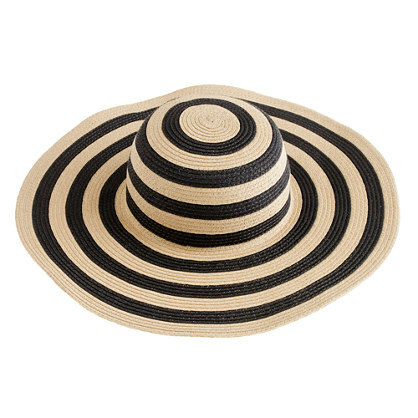 J Crew Striped Summer Straw Hat This black-and-cream paper straw hat by J. Crew is perfect for city natives. The neutrals will look chic and casual for everyday wear – try pairing it with a billowy black skirt and cat-eye sunglasses for sunny days. The material also folds up nicely to save you space when packing for a weekend beach getaway. 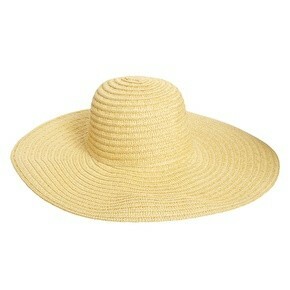 Kate Spade New York Printed Piping Sun Hat Straw and floral patterns are both quintessential summer wear. We love how this Kate Spade hat takes both and integrates them for a unique look. Tradition and innovation, color and neutrals, structure and looseness – they’re all brought together and topped off with a bow in a hat that’ll look just right, whether you’re brunching on the weekend or relaxing by the pool.